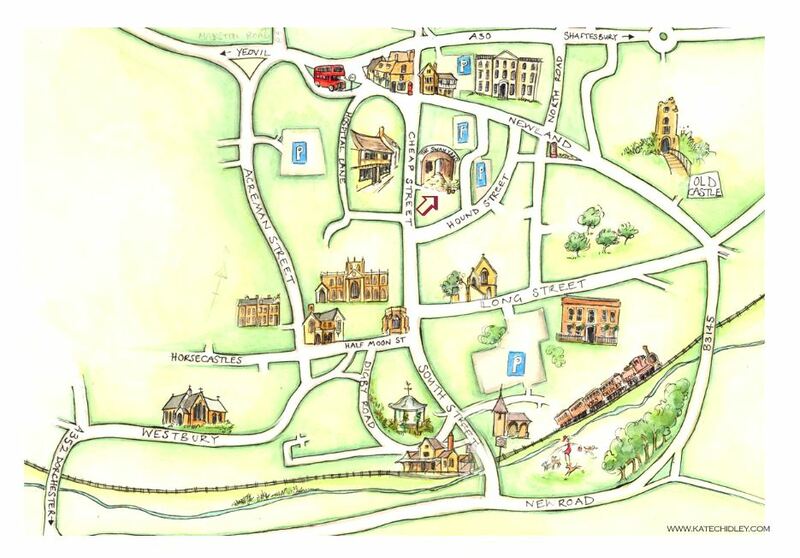 You’ll find us in Swan Yard, just off Cheap Street and right in the centre of historic Sherborne, Dorset. The nearest Pay & Display parking is in Old Market Yard, Newland. Please note that Cheap Street has restricted vehicle access after 11.30am. Please allow for parking and arrive at least 5 minutes before your appointment time. If you arrive earlier we have a waiting area on the first floor where you can enjoy a complimentary drink and a selection of magazines. Please wear comfortable clothes which are easily removed if required for your treatment. Our therapists always use draping techniques to respect your privacy during massage and other beauty treatments and therapies. If you are having a pedicure then please wear open-toed shoes. We have a shower at the salon should you wish to freshen up. Oil may get into your hair during facials or massage treatments and you may find it useful to bring a brush or comb with you. Arriving late will simply limit the time available for your treatment, thus reducing its effectiveness and your pleasure. Your treatment will need to end on time so that our next consultation is not delayed. We accept all major credit cards (with the exception of Amex). We also have our own Margaret Balfour gift vouchers which are accepted for both treatments and products. You should notify our reception staff or therapist before booking if you have any health issues such as high blood pressure, allergies or other physical ailments.